The Parang La is a high mountain pass located in between Spiti and Ladakh. The Parang la trekking route follows an ancient, historical and traditional trade route once was between Spiti, Changthang & Tibet. it's an 8 days trekking from Dumla near Kibber to Korzok. 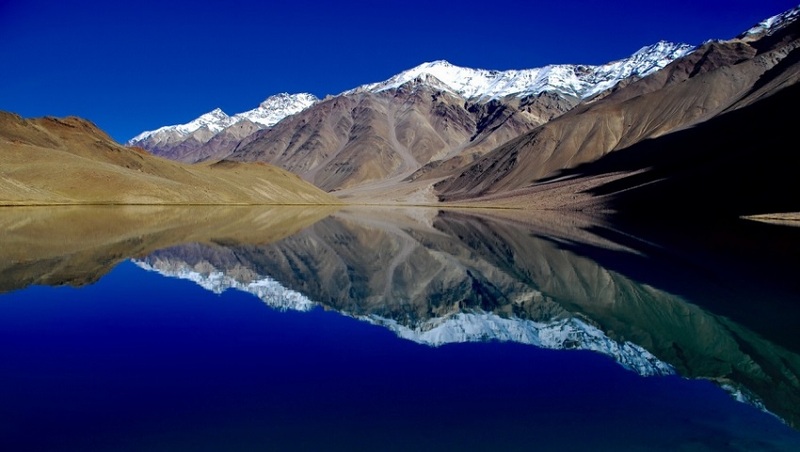 The route crosses the upper reaches of the Pare Chu and continues to the Lake Tsomoriri in Ladakh. The Parang la at an altitude of 5560 m. To the south of the pass there are less snowfields . To the north is a long glacier crossing. To the Northwest there is Takling La, which is nowadays used less by trekkers, mostly takes Parang La route. 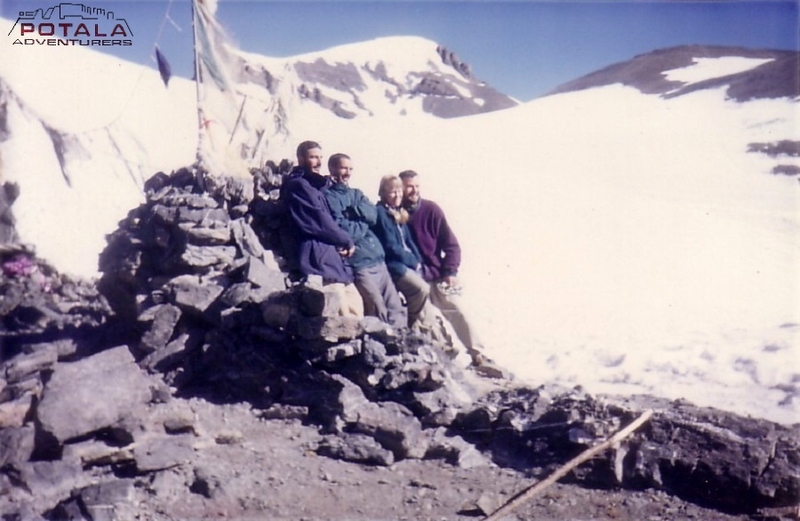 Opened to tourist since 1994, Potala Adventurers took first commercial trek in 1996, Kibber - Kiangdam - Pang trek. 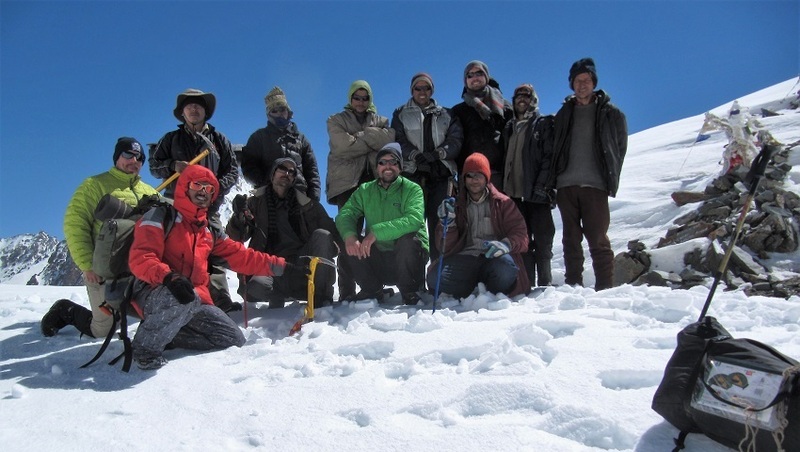 Since than we have organize numerous treks in this region, some of which were includes also the climb of Chamser - Lungser Kangri. 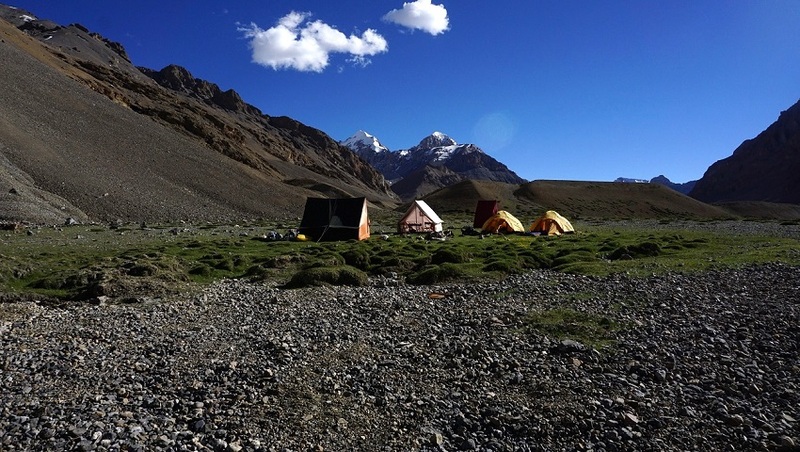 To add more adventure in this trip, a Mentok Kangri climb is an option. Day 01: Arrive Delhi / Chandigarh airport. Drive to Manali. Day 15: Leh - Delhi flight. Day 14: Korzok to Manali via Baralacha la (4890m) - Rohtang la (3980m), 13-15 hrs. Day 15: Manali - Delhi. Day 21: Leh - Delhi flight. - All ground transportation to & fro as per the itinerary. Manali to Leh or Manali to Manali. - 2 nights bed & breakfast hotel accommodation in Manali at 3 star hotel on twin sharing basis. - 2 nights bed & breakfast hotel accommodation in Kaza at 3 star hotel on twin sharing basis. - 1 nights home stay at Langza. - Support staff: Qualified English speaking Ladakhi or local trekking guide, cook & camp crew. Day 01: Arrive Delhi or Chandigarh airport. Drive to Manali. Arrive at Delhi or Chandigarh airport. Pickup and drive to Manali by private car. Arrive at Manali, check into hotel. 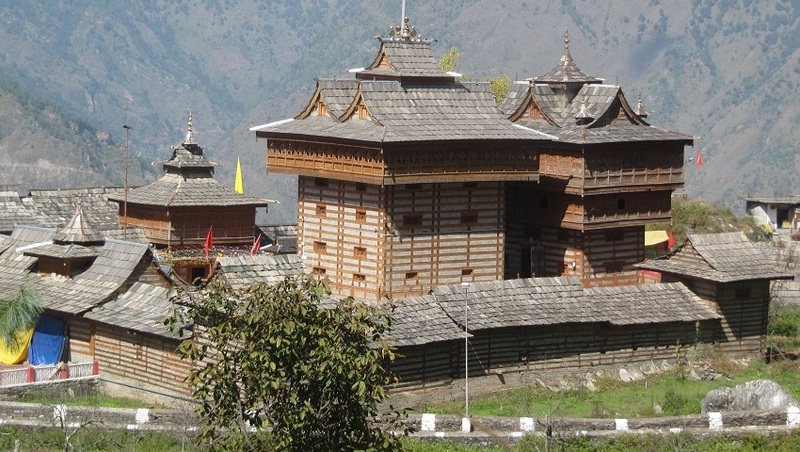 Its 14-15 hrs drive from Delhi airport and its 7-8 hrs drive from Chandigarh airport to Manali. Today an early departure from Manali, Over land journey by jeep over Rohtang pass 3978 mtrs. Rohtang pass, which is the gateway to Lahoul –Spiti, Pangi and Zanskar. Along the Chandra River valley for 3-4 hrs until reaching Batal. Magnificent view of snow capped mountain of C.B. 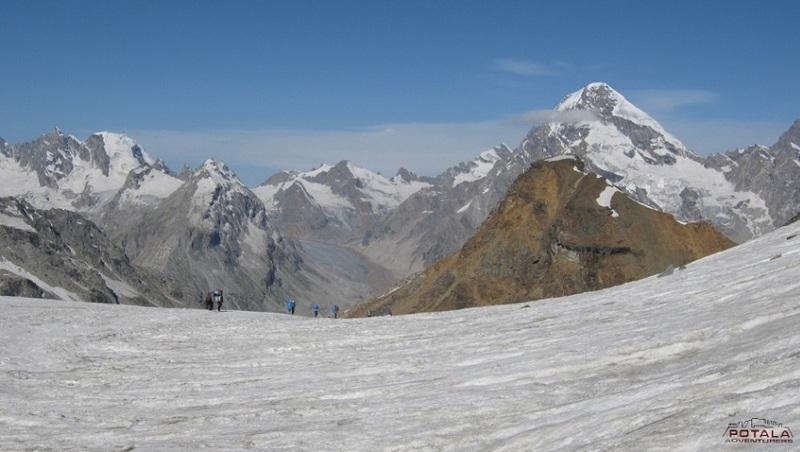 Ranges and Bara Shigri Glacier. These ranges are part of Great Himalayan range. Passing through Kunzum la (4551m) we arrive at first village of Spiti called Losar (4’000m). By the evening arrival at Kaza. 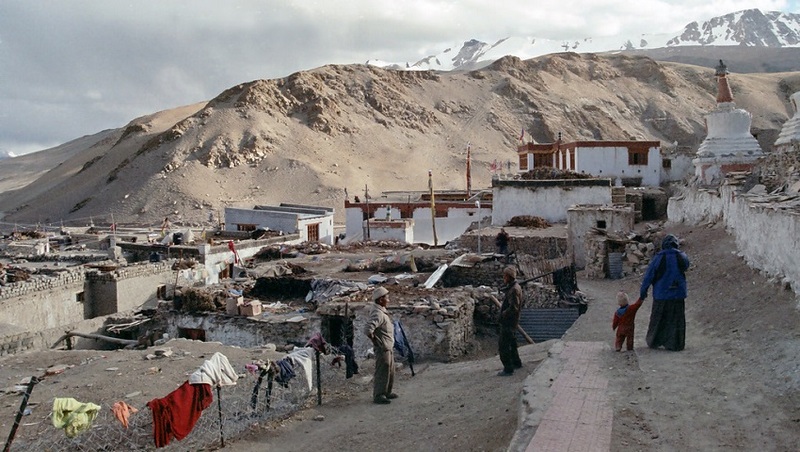 Kaza is a sub-headquarter of Spiti region. Check into hotel, rest and relax. Today explore local bazar at Kaza town. or visit Dankhar, Lalung and Pin valley. 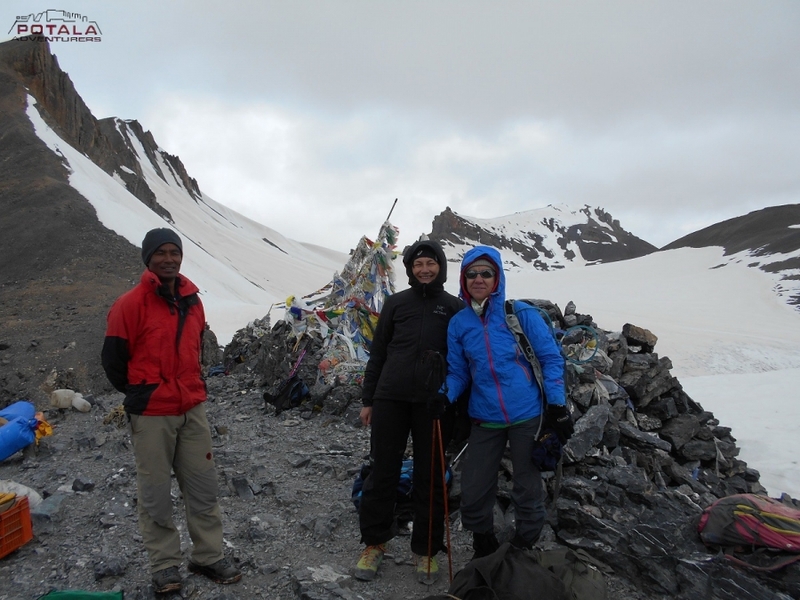 Langza is situated at an altitude of 4435m/14500ft and below the beautiful Chau Chau Kang Nilda peak (6303m). You will stay overnight at homestay. Explore the village and acclimatize hike in around. Today leaving Kaza short drive to Kee 6 -7 kms. Visit the monastery and Continue drive to Kibber and further to Chichim - Dumla. Dumla is short after Pari Lungbi gorge. Setting off from here first short descent to Dumla through fields of Barley than gradual ascent arrival on a ridge, from where splendid and spectacular view of Shilla Peak 6303m. to southeast half an hour down to the campsite of Thaltak. An eventful day for those who have never climbed this height Before. From camp climb up gradually to Parangla on patches of snow panoramic views of Peaks of Ladakh, Lahoul and Spiti for below in the NW you can see the Pare chu which original from this pass. 4 km. 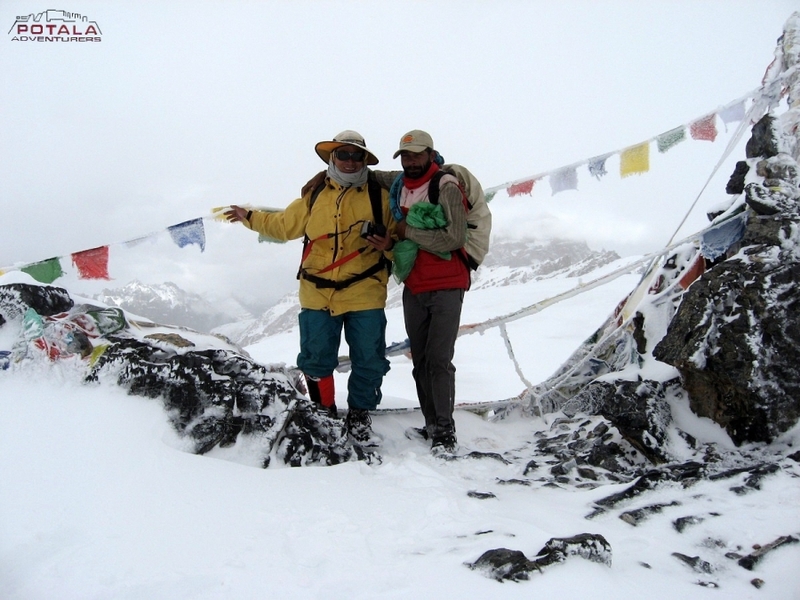 Descend through crevasses and glacier then cross the Pare chu. Following the left site of river arrive at campsite of Kharsa Gongma. The Dak Karzong is at short distance from Kharsa gongma. Today we cross the river close to campsite and follow the right bank of Pare Chu. Now the valley becomes broaden .Sometimes on riverbed or above river the trail goes to campsite of Dokpo Phirtse. 60 kms stretch through Kharas, Dokpo phirtse, Dakar, Kuru and Thaktote, which are places where Changpas stays during summer time. Gentle and easy walking along the Pare Chu. Small tributaries to be cross before arriving the Dokpo Phirtse and continue to Datang Yongma campsite. Today again easy walking along the right bank of Pare-chu.Now the valley becomes wide as you follow the Pare-chu.At different places you come across Patches of grass at nomad’s summer place. Overnight camp at Racholhamo. Short stretch along the right bank until arriving a place where a stream joins with pare-chu. The trail goes further to chumar village in Tibet. Pare- chu river to be cross at this point and trek up to right and valley. Walk towards right hand valley. As you trek upwards the landscape changes from dusty plain to green pasture ground. Here you will be welcomed by Changpas. 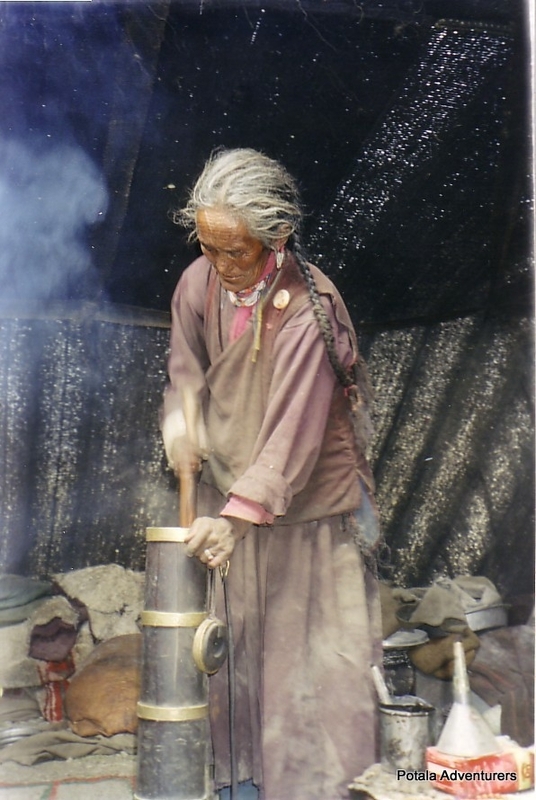 (Tibetan nomads) Overnight camp at Chumik Shilde. 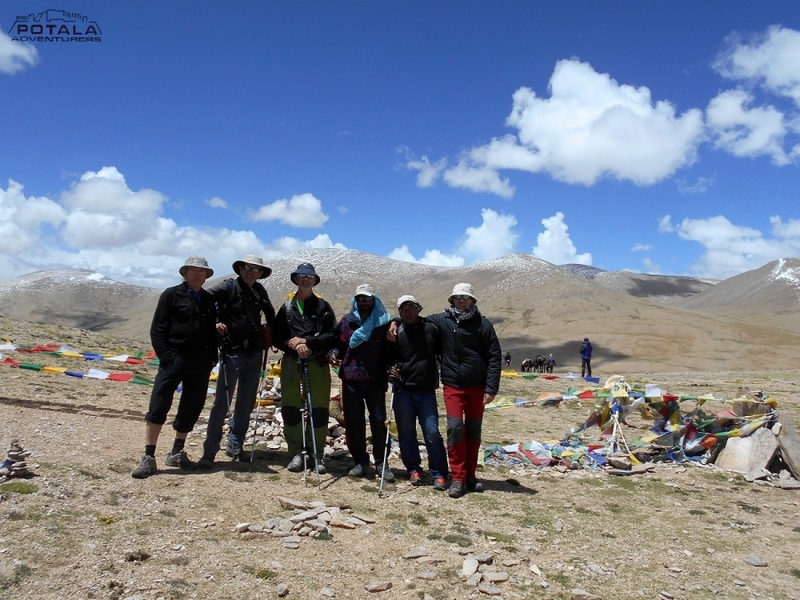 A wonderful and exciting day of trekking tour, here landscape changes dramatically. Walking through pasture and sandy patches the valley become broader and broader. After walking through Chumik Shilde and crossing small stream finally arrive at Tso-moriri Lake. The lake is 24 kms in length and 6 kms wide. Changpas can be seen with their flocks of sheep, goats and yaks near around the lake. Kyang, birds like: bar headed goose, the migratory birds black-necked ducks are also found around the lake. Today just relax at camp or go to climb nearby mountain to have a view or go to hike towards Phirtse phu. Day 13: Kiangdam to Korzok (4600m), 7-8 hrs. Today after breakfast leaving Kiangdam behind we trek to Korzog along the banks of Tsomoriri Lake. Yet its providing pleasant walk on the shore of lake as well as Chamser (6622m) and Lungser Kangri (6666m) peaks at the Eastern shore of Tsomoriri remain in sight up to Korzok. To the North you will have view of Yalung Nong peak and to the West Mentok Kangri group of peaks. Karzok is high altitude village, situated at the west banks of Lake Tsomoriri, inhabitants of Karzok also known as Changpa. Overnight camp at Korzok. Leaving Korzok the road goes to Kiagar Tso, Sumdo, Puga and Tsokar. Finally crossing the Taglang la and long descent to Indus valley to Leh. Check into hotel. Rest and relax. Pickup at hotel and transfer to airport and flight to Delhi. Day 1 Arrive Delhi or Chandigarh airport. Drive to Manali. Today leaving Langza first drive to Kee 23 kms. Visit the monastery and Continue drive to Kibber and further to Chichim - Dumla. Dumla is short after Pari Lungbi gorge. Setting off from here first short descent to Dumla through fields of Barley than gradual ascent arrival on a ridge, from where splendid and spectacular view of Shilla Peak 6303m. to southeast half an hour down to the campsite of Thaltak. Day 13 Kiangdam to Korzok (4600m), 7-8 hrs. Day 15 Leh - Delhi flight. × Rest of hotel in Manali, Leh and New Delhi and lunch, dinner while staying at hotel in Leh & not trekking.